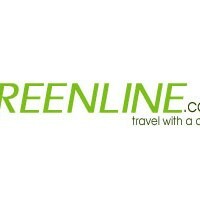 Greenline was born 10000 feet in the air. It was a vision shared by five men. Men who were experts in their own field. Some were hoteliers while others restaurateurs and Airlines personnel. They believed that Nepal with her unique geography needed a bus service geared especially to meet the needs of the tourists. Bus services, which would suit the timings of the tourist, services which are up to international standards and safety. A company which would be recognized internationally for providing good and affordable means of transportation so as to leave a good and wonderful memory for departing tourists of the beautiful countryside of Nepal.